Spend some time sifting through the decent range of accommodation options in Whyalla Norrie. Fortunately, there are 10 within 5 kilometres of the centre of town. 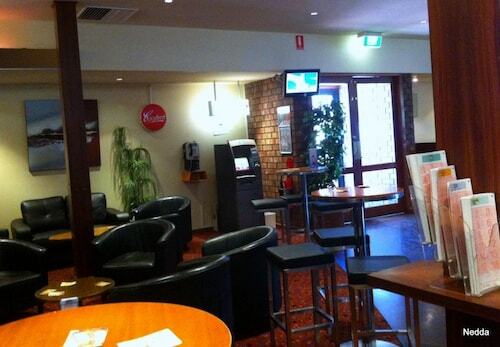 You must look into the Best Western Alexander Motel Whyalla and Airport Whyalla Motel. All these accommodation options are not far from the major action. Grab your best mates and tee off at Whyalla Golf Club. Discovery Parks – Whyalla Foreshore and Whyalla Playford Apartments are comfortable options if you want to be in the vicinity of this attraction. Observe the antiques and hear about the tales behind the area's strong seafaring past at Whyalla Maritime Museum. You can visit this attraction often, especially if you're based at The New Whyalla Hotel and The Palm Apartments Whyalla. Are you still struggling to find a hotel? The Foreshore Motor Inn and the Eyre Hotel Whyalla may meet your needs. The first is 4 kilometres from town, while the second is 3 kilometres. And finally, don't forget about the Quest Whyalla, 0.9 kilometres away. Don't disappear without taking a look at what there is to see and do in the rest of the region. Eyre Peninsula boasts beaches, as well as commonly visited Eyre Peninsula tourist destinations like the history museums. Or spend some time four-wheel driving. Wotif hopes you have an incredible time in Whyalla Norrie! Wherever it is you'd like to go in this big wide world of ours, we'd love to take you there. How Much is a Hotel Room in Whyalla Norrie? 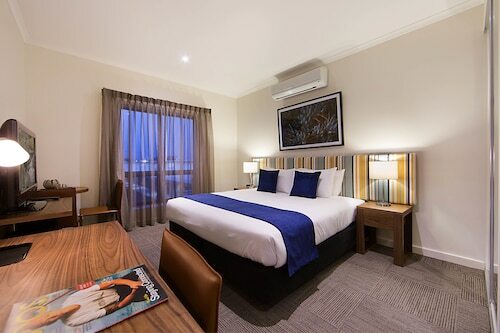 Hotels in Whyalla Norrie start at AU$90 per night. Prices and availability subject to change. Additional terms may apply. The Cabin was in very good condition, clean and had all basic necessities to accommodate for a long stay, had very good heating and cooling. GREAT STRONG SHOWER. Cabin was right in front of beach and near park. Great for family get away. Disappointing side the Maintenance man had let himself into cabin without notifying us that he will be coming, my husband was sleeping at the time and was startled by him. He thought no-one was in. Was intending to enter cabin without us knowing which I feel is inappropriate.